Muhammara is a middle eastern red pepper walnut sauce that is similar to the Spanish romesco. Pickled cauliflower is a nice garnish and is optional. Sweet peppers are small colorful peppers often sold pre-bagged in the produce section in the summertime. They are great for tossing on the barbeque. Toss broccoli, cauliflower, sweet peppers, onion and garlic cloves into a large mixing bowl. Toss with salt and a liberal coat of olive oil. 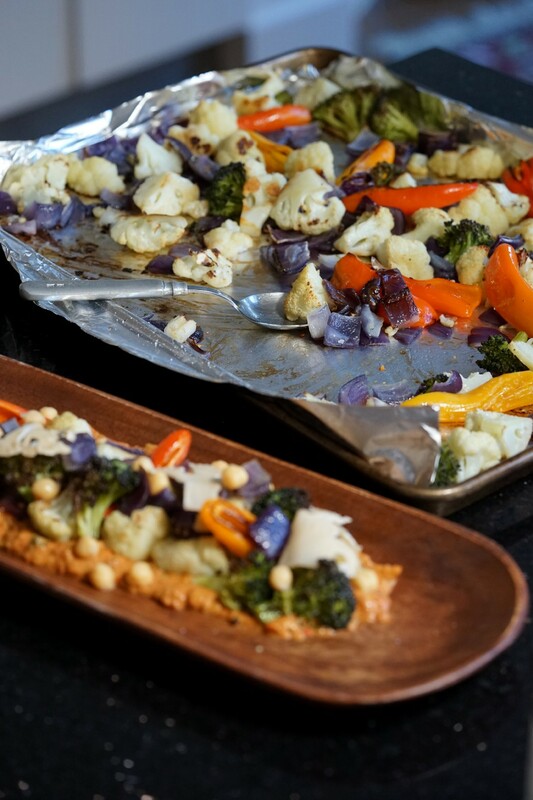 Spread onto parchment coated sheet pan or cookie sheet. Don’t overcrowd, use two baking sheets if necessary. Roast for 10–15 minutes until vegetables begin to get brown around the edges. Add drained chickpeas in the last few minutes of cooking to warm. Blend all sauce ingredients EXCEPT THE OLIVE OIL in a food processor or high powered blender until pureed into a paste. Add olive oil in the last few pulses. 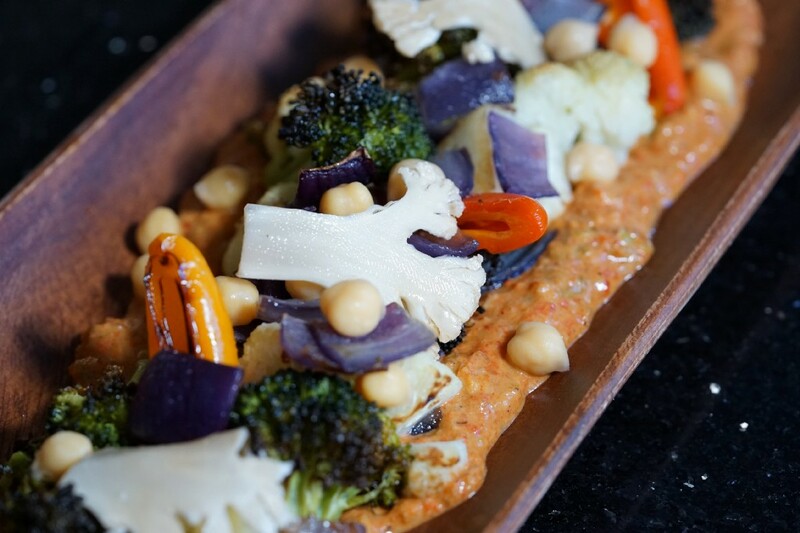 Spoon Muhammara onto serving platter and scatter vegetables on top. 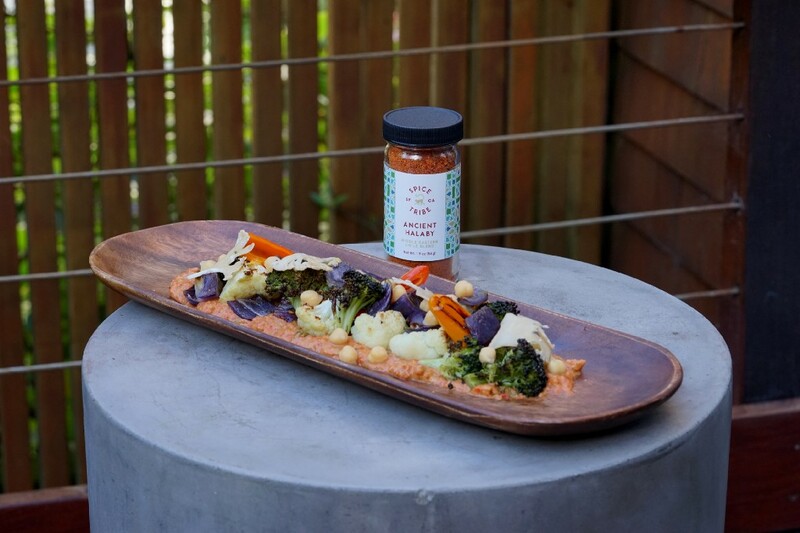 ROASTED VEGETABLES WITH MUHAMMARA SAUCE was originally published in Spice Tribe on Medium, where people are continuing the conversation by highlighting and responding to this story.